The XE1201A operates in the European and Asian 433MHz as well as the USA 315MHz ISM bands. It includes one on-chip filter allowing for a 300kHz wide channel with a programmable deviation frequency of 4kHz to 200kHz (minimum steps of 5kHz). 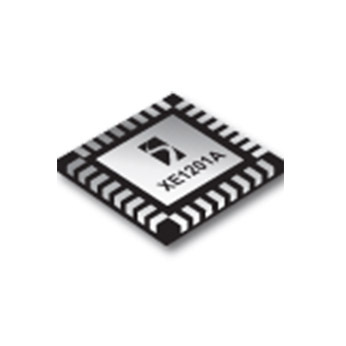 The XE1201A has a built in programmable RF output power amplifier with 4 different levels (ranging from -15dBm to +5dBm) allowing for optimized power consumption at all times.